Time: 8:00pm. Age restrictions: All Ages. Address: 59 Zhongguancun St. Performances, masterclasses, and lessons at the Beijing International Music Festival & Academy in China. Time: 2:00pm. Admission: Free Admission. Age restrictions: All Ages. Address: 6990 Lake St. Venue phone: (719) 219-5144. Music by Leonard Bernstein, George Gershwin, Aaron Copland, and Paul Schoenfield. Time: 6:00pm. Admission: Free admission. Age restrictions: All Ages. Address: 500 Main St. 2018 UConn Piano Project: “Sour Flowers & Enchanted Gardens.” Music for solo piano and two pianos by Richard Wilson, William Bolcom, and Richard Danielpour. Featuring the UConn Piano Studio. Time: 3:00pm. Admission: Free admission. Age restrictions: All Ages. Address: 875 Coventry Rd.. 2018 UConn Piano Project: “Sour Flowers & Enchanted Gardens.” Music for solo piano and two pianos by Richard Wilson, William Bolcom, and Richard Danielpour. Time: 1:30pm. Age restrictions: All Ages. Address: 57th Street and Seventh Avenue. Venue phone: 212-247-7800. Interactive Performance with Decoda, an affiliate ensemble of Carnegie Hall. Music by Bartok, Azmeh, Dvorak, and Hindemith. Time: 5:30pm. Age restrictions: All Ages. Artist Residency with Decoda, an affiliate ensemble of Carnegie Hall: with oboist James Austin Smith, and flutist Catherine Gregory. Music by Schumann, Farrin, Poulenc, Ibert, Danielpour, Ginastera, and Prokofiev. Time: 3:00pm. Admission: Free admission. Age restrictions: All Ages. Address: 2 N Eagleville Rd. Venue phone: (860) 429-9382. “Family Ties.” With soprano Constance Rock, mezzo-soprano Meredith Ziegler, and baritone Mark Womack. Music by Mozart, Schubert, Brahms, Poulenc, Bellini, Heggie, and Barber. Time: 8:00pm. Admission: Free admission. Age restrictions: All Ages. Address: Buffalo State, SUNY. With Decoda: Caitlin Sullivan- cello, Carol McGonnell- clarinet, Anna Elashvili- violin. Music by Dvorak, Kinan Azmeh, Sebastian Currier, Kaija Saariaho, Mohammed Fairouz, Hindemith. Time: 8:00pm. Admission: $15. Age restrictions: All Ages. Address: 1133 6th Ave.. Venue phone: 1 (212) 246-1100. 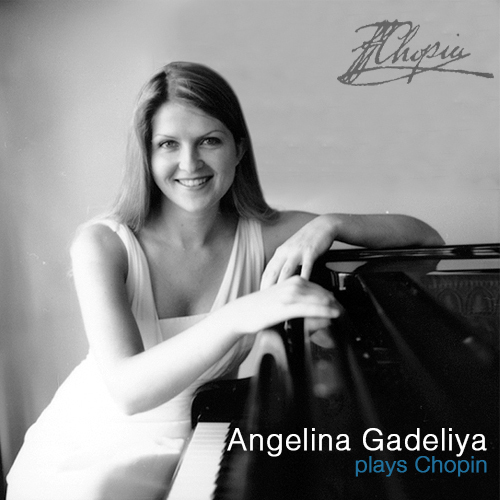 Piano Duo recital with pianist Inga Kashakashvili. Music by Igor Stravinsky, Claude Debussy, and William Bolcom. Time: 3:00pm. Age restrictions: All Ages. Address: 2132 Hillside Rd.. Solo recital. Works by J.S. Bach, Richard Danielpour, Ludwig van Beethoven. Pre-concert lecture starting at 2:15 pm with Richard Danielpour. Time: 8:00pm. Admission: Free Admission. Age restrictions: All Ages. Address: 875 Coventry Rd.. An all Beethoven program with violinist Theodore Arm, cellist Rebecca Patterson, and baritone Rod Nelman. Hosted by Glenn Stanley. Time: 6:30pm. Age restrictions: All Ages. Address: 420 W 18th St.. Venue phone: (719) 543-4253. Brahms Piano Quintet in F minor, Op. 34 with the Veronika String Quartet. Time: 2:30pm. Admission: $10- Students, $20- Adults. Age restrictions: All Ages. Address: 3190 Benet Lane. Venue phone: tickets and information (719) 633-0655. With Brian Harris, Tenor; Amy Mushall, Soprano. Schumann’s Liederkreis Op. 39, Amy Beach Browning Songs, Rachmaninoff’s Op. 38 Songs, and a set by Duparc. Time: 6:30pm. Admission: Free Admission. Age restrictions: All Ages. Address: 211 W 58th St, New York, NY 10019. Venue phone: (212) 765-7300. “Schnittke and His Ghosts” CD Release Concert. Music by Alfred Schnittke, Mozart, Webern, and Scriabin. Time: 7:00pm. Age restrictions: All Ages. Address: 991 Fifth Ave.. The Music of George Oakley. With clarinetist Anton Rist, and pianist Inga Kashakashvili. Time: 3:00pm. Age restrictions: All Ages. Address: 201 S. Washington St.. Venue phone: (703) 838-4994. Recital with violinist Solomiya Ivakhiv. “Ukraine- Journey to Freedom.” Music by Kosenko, Silvestrov, Skoryk, Shchetynsky, Stankovych, and Lyatoshynsky. Time: 8:00pm. Age restrictions: All Ages. Address: 27 Garden Street in Harvard Square. 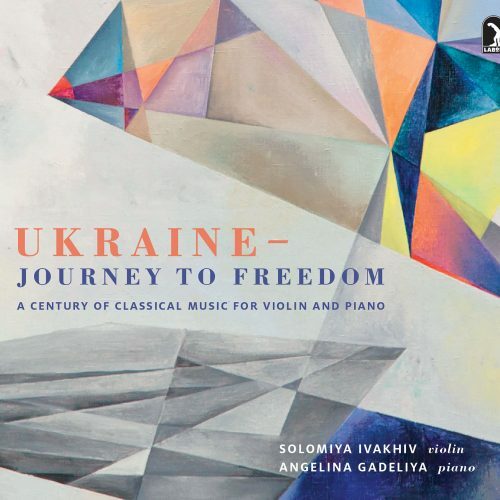 Recital with violinist Solomiya Ivakhiv: “Ukraine- Journey to Freedom, a Century of Classical Music for Violin and Piano.” Music by Kosenko, Karabits, Silvestrov, Shchetynsky, Kryvopust, Skoryk, Stankovych, and Boris Lyatoshynsky. Time: 7:00pm. Admission: Free Admission. Age restrictions: All Ages. Address: 2 Park Ave.. With Altezza Trio: Sergei Vassiliev- clarinet, Karine Garibova- violin. Music by Beethoven, Brahms, and Khachaturian. Time: 6:30pm. Admission: Free Admission. Age restrictions: All Ages. Address: 3111 Walnut St.. Venue phone: 303 449 3177. “SCHNITTKE AND HIS GHOSTS” CD Release Party! Music by Alfred Schnittke, Mozart, Webern, and Scriabin. Reception to follow. Related post. Time: 6:30pm. Admission: $10. Age restrictions: All Ages. Address: 20 N. Tejon St. (Use back alley entrance). Venue phone: 719-428-6974. 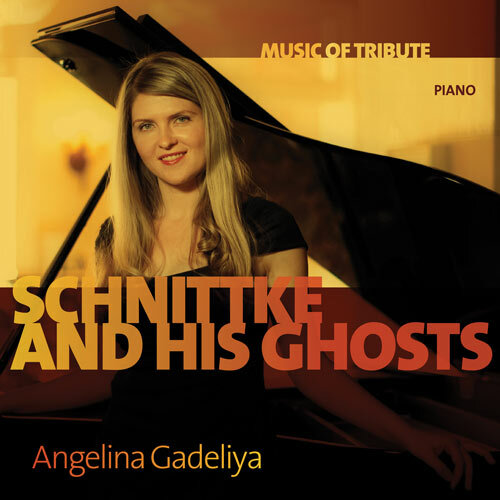 “SCHNITTKE AND HIS GHOSTS” CD Release Party! Music by Alfred Schnittke, Mozart, Webern, and Scriabin. Q&A hosted by KCME’s George Preston. Reception to follow. Related post. Time: 2:30pm. Age restrictions: All Ages. Box office: 719-633-0655. Address: 3190 Benet Lane. Venue phone: tickets and information (719) 633-0655. MOZART & BEETHOVEN Also featuring Monica Ding- oboe, Michael Yopp- french horn, Sergei Vassiliev- clarinet, Joyce Fleck- bassoon. Program: Mozart: Quintet for Piano & Winds, K. 452, Beethoven: Quintet for Piano & Winds, Op. 16. Pre-concert lecture- Mark Arnest. Time: 7:00pm. Admission: $10 cover charge. Age restrictions: No Minors. Box office: 719-428-6974. Address: 20 N. Tejon St. (Use back alley entrance). Venue phone: 719-428-6974. Olivier Messiaen: “Quartet for the End of Time” with clarinetist Sergei Vassiliev, violinist Karine Garibova, and cellist Scott Klucksdahl. Time: 2:00pm. Admission: Free. Age restrictions: All Ages. Address: 20 N. Cascade. Venue phone: (719) 531-6333. Featuring the Altezza Trio: Sergei Vassiliev- clarinet, Karine Garibova- violin, Angelina Gadeliya- piano. Program includes works by Milhaud and Khachaturian. Time: 7:00pm. Admission: $15. Age restrictions: No Minors. Address: 20 N. Tejon St. (Use back alley entrance). Venue phone: 719-428-6974. Featuring the Altezza Trio: Sergei Vassiliev- clarinet, Karine Garibova- violin, Angelina Gadeliya- piano. Program includes trios by Mihaud, Khachaturian, and Bartok. Time: 7:00pm. Admission: $30 and up. Age restrictions: All Ages. Box office: 212-501-3330. Address: 129 W. 67th St.. Venue phone: 212-501-3330. Shevchenko Society and Ukrainian Institute of America present a Special Tribute Concert – “Ukraine, Shevchenko, & Music.” Also featuring soprano Oksana Dyka and violinist Solomiya Ivakhiv. Time: 7:00pm. Admission: $15. Age restrictions: No Minors. Box office: 719-428-6974. Address: 20 N. Tejon St. (Use back alley entrance). Venue phone: 719-428-6974. Also featuring clarinetist Sergei Vassiliev and violist Shauna Smith. Program: Schnittke: Variations on a Chord for Solo Piano, Mozart: “Kegelstatt” Trio, Bruch: Eight Pieces for Clarinet, Viola, and Piano. Time: 5:00pm. Age restrictions: All Ages. with Decoda Ensemble: Messaien- Quartet for the End of Time, also music by Nathan Shields, Barber, and Golijov. Time: 7:00pm. Admission: $25 adults, $10 students. Age restrictions: All Ages. Solo Recital “Schnittke and His Ghosts” – Music by Mozart, Anton Webern, Chopin, Shostakovich, Scriabin, and Schnittke. Time: 6:00pm. Admission: Free. Age restrictions: All Ages. Program: Mozart: Adagio in B minor, K. 540, Chopin: Ballade No. 4 in F minor, Schnittke: Sonata No. 2, Scriabin: Sonata No. 4 Related post. Time: 7:30pm. Admission: $15. Age restrictions: All Ages. Box office: 605-367-6000. Address: 301 S. Main Ave. Venue phone: 605-367-6000. This solo piano recital will include works by Ukrainian composer Levko Revutsky, as well as works by Brahms, Elliott Carter, Schoenberg, and Chopin. Time: 3:00pm. Admission: $15- Adults, $7- 18 yrs and under. Age restrictions: All Ages. Address: W. Cache La Poudre St.. Venue phone: 719-389-6607. Scenes from Magic Flute, Falstaff, Secret Garden & Annie are some of the operatic & music theater offerings from this musical buffet!